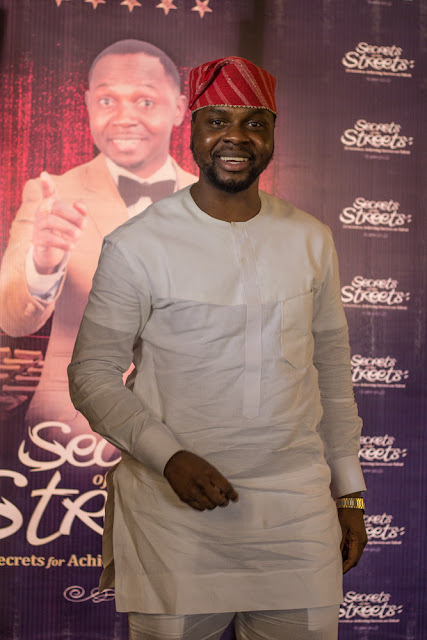 It was a delightful gathering as TV host Teju ‘Babyface’ Oyelakin officially launched his book “Secrets of the Streets” at MUSON Centre, Onikan, Lagos on Friday May 19, 2017. 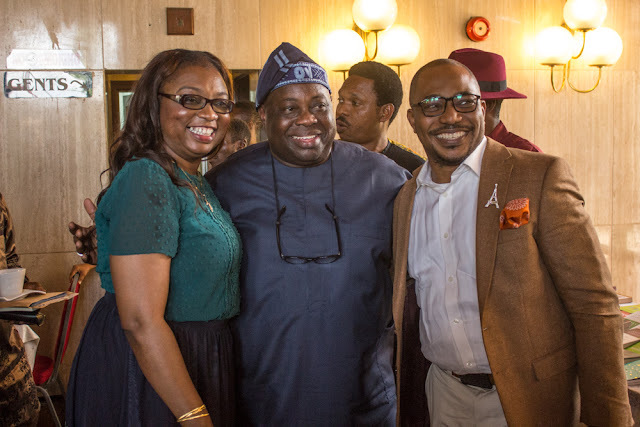 The event had in attendance top dignitaries, entrepreneurs, entertainers, friends such as Professor Pat Utomi, Pastor Sam Adeyemi of Daystar Church, Frank Edoho, Tee A, Debola Williams, Owen Gee, Lepacious Bose, Bunmi Davies and many others who joined in the celebration. The event started with photo session where guests took pictures with Teju, some got their books signed by him after which they proceeded to AGIP Hall for the commencement of the ceremony. 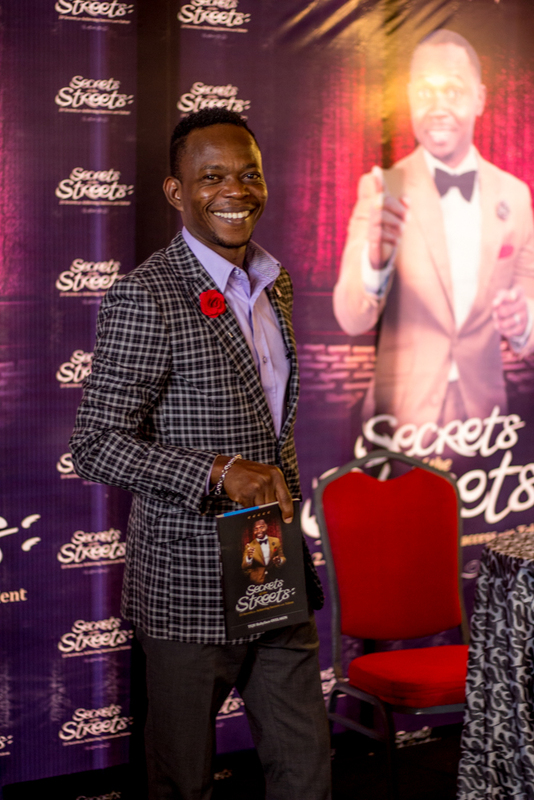 The book launch was compered by Oscar Oyinsan and after a brief introduction of the VIPs present, Teju was invited up stage to talk about “Secrets of the Streets”. Teju further explained that while he didn’t have ‘the streets’ upbringing, he learnt a lot from his friends who did. “Because I couldn’t speak pidgin, because I went to private a secondary school and because I wasn’t a Niger-Deltan, some people underestimated me but here I am today” he remarked. 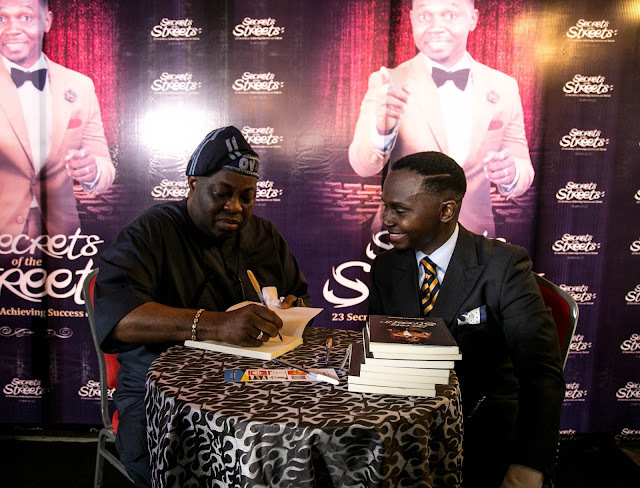 He concluded by reiterating that while he was still in the business of bringing laughter to people’s faces, he is no longer a stand-up comedian. He said “Secrets of the Streets” is one of the means he now uses to make people laugh and learn at the same time. At the end of his speech, Teju invited his long-time friend Basorge Tariah Jnr to say a few words. Basorge had nothing but praises to shower on Teju. He recounted some trying times they had while they were struggling entertainers and proceeded to read out some lines in “Secrets of the Streets” where he was mentioned. 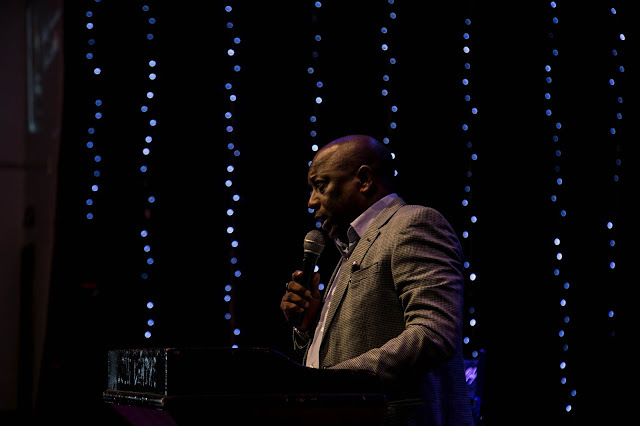 Then Pastor Sam Adeyemi of Daystar, whom Teju refers to as his mentor, was asked to come up stage for the official presentation of “Secrets of the Streets” to the public. He kicked off by commending Teju’s efforts towards changing the mentality of Nigerian youths today and encouraged everyone to make reading an essential part of their lives because of the life-changing impact it can have on them. Professor Pat Utomi was also invited to endorse the book after the presentation by Pastor Sam Adeyemi. Professor Pat also had nothing but words of admiration and encouragement for Teju. 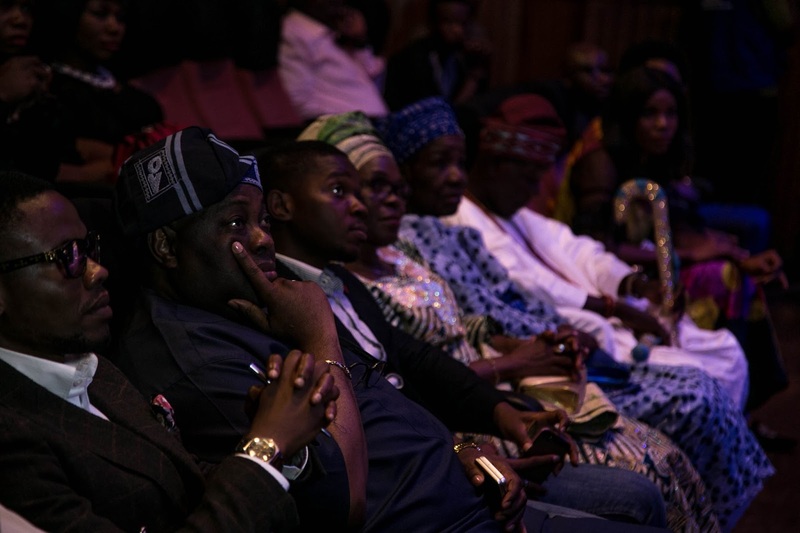 Shortly after, a mentoring session took place featuring Teju Babyface and some of the young Nigerians who were in attendance. Other personalities in attendance include Dele Momodu of Ovation magazine, movie producer Tade Ogidan, actor Said Balogun, comedian Julius Agwu, actress Chioma ‘Chigul’ Omeruah, internet sensation Bayegun Oluwatoyin aka Woli Arole, comedian Koffi Idowu, musician Alariwo of Africa, comedia Kenny blaq and many others. 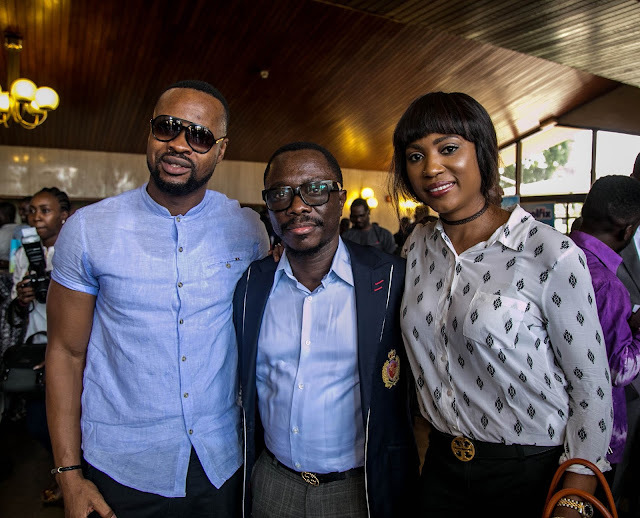 0 Comment to "Pat Utomi, Sam Adeyemi, Tee A, Frank Edoho, Others Turn Up for Teju Babyface's Secrets of the Streets Book Launch "